InstaScope is a new airborne mold-assessment system only available from select ServiceMaster® brands, that immediately delivers scientifically accurate, room-by-room results. Using InstaScope, a certified operator can instantly differentiate between rooms with normal airborne mold levels that need no treatment, rooms with elevated airborne mold levels which may require a simple cleaning by a mitigation professional and rooms with higher airborne mold levels and an active mold source that may require targeted remediation. Step One: Record a baseline airborne mold level outside your home. 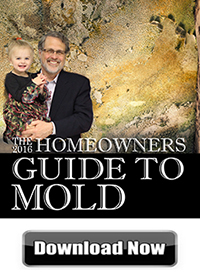 Step Two: Measure airborne mold levels in each room of your home using cutting-edge optical detection technology. Step Three: For rooms with elevated mold levels, recalibrate to help locate the active mold source.